It’s chocolate so whats not to love? It’s so easy to customise to whatever theme you want or need at the time. 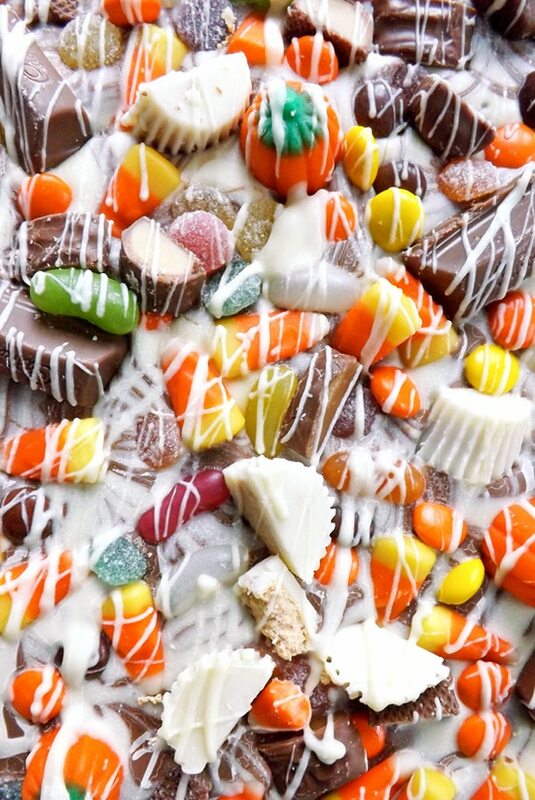 This Easter Themed Double Chocolate Bark is a perfect example of these 2 points combined. Two of my favourite types of chocolate combined, white and dark and I used Easter-themed sprinkles and inclusions to give it an Easter feel. Pretty much anything goes when it comes to sprinkles, so go wild and have fun. I used some rice paper bunnies, candy butterflies and rice paper flowers. 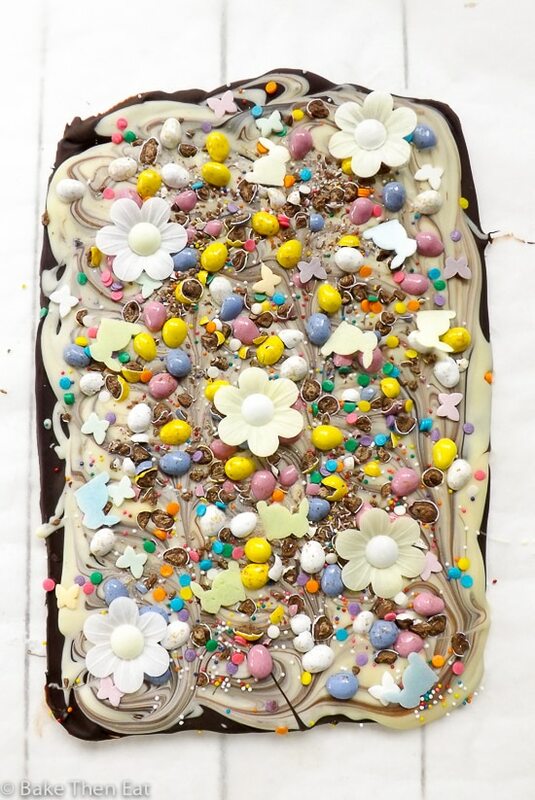 Along with brightly coloured sprinkles and confetti, and to add even more chocolate to this heavenly bark I threw in some milk chocolate mini eggs to finish it off. 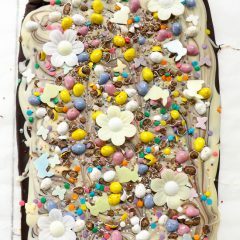 Being attractive and easy to make, combine to make this Easter Themed Double Chocolate Bark a real Easter winner! 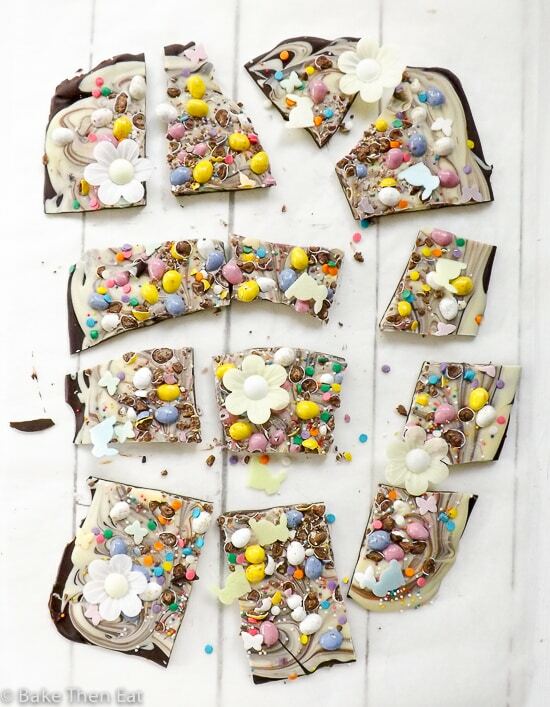 Easter Themed Double Chocolate Bark is an easy to make Easter treat, perfect for gift giving or being added to any dessert table. 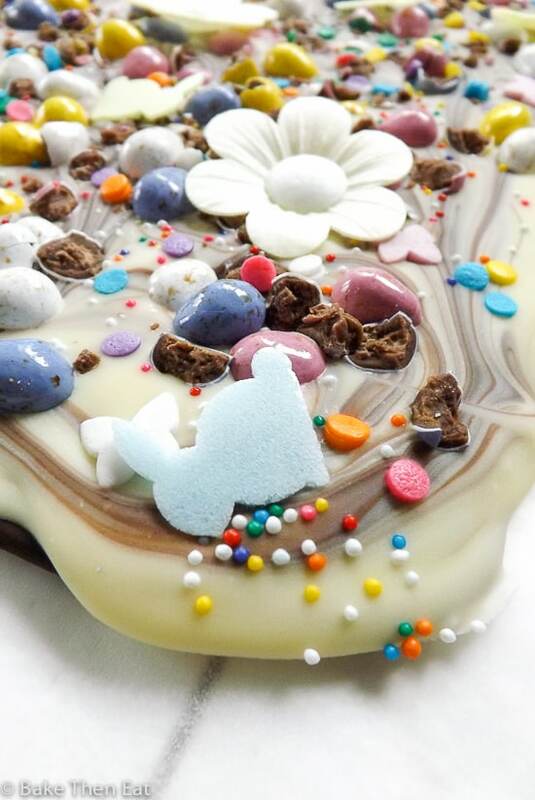 A mix of dark and white chocolate and plenty of sprinkles and mini eggs. Lay out a large sheet of baking parchment. Break up the dark chocolate into a microwave safe bowl and microwave it in 30 second blasts on high until it is all melted. Working quickly pour the melted dark chocolate into the centre of the baking parchment and gently spread it out into a large rectangular shape. Working quickly so the dark chocolate doesn't set, break up the white chocolate into a microwave safe bowl and melt it on high in 30 second blasts. Once melted pour it on top of the dark chocolate and gently spread it all over the dark chocolate. Using a tooth pick run it through the chocolate to create a swirly pattern. Break up some of your mini eggs and leave some whole and sprinkle them all over the chocolate. Then sprinkle any other colourful sprinkles over the chocolate that you want to. I used a combination of bunny shaped sprinkles, rice flowers and colour sprinkles. Once finished place your chocolate slab in the fridge to set. About 60 minutes should do it! 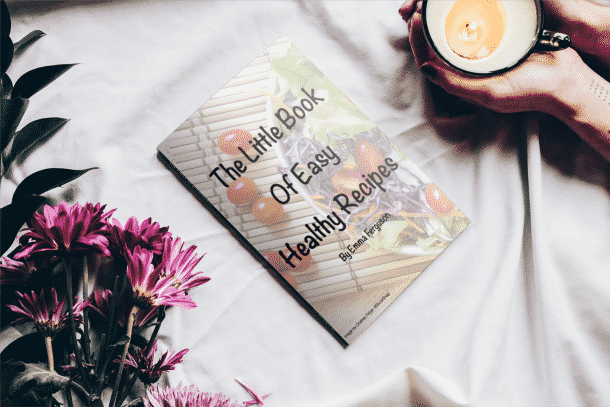 Once set take it out of the fridge and break it into smaller pieces to serve or gift. This chocolate needs to be kept in an airtight container in a cool environment, if possible its best kept in the fridge and it will keep well for around 2 weeks. Aww this is so cute! I did something similar. It’s effective but easy as you say! 😀 I hope you had a great Easter. This is so Easter-y it’s amazing! Love all the colours in this and the fact it’s double chocolate! wow wow wow!!!!! This is the prettiest sweet i’ve ever seen!!!!! You’re so talented. And creative. 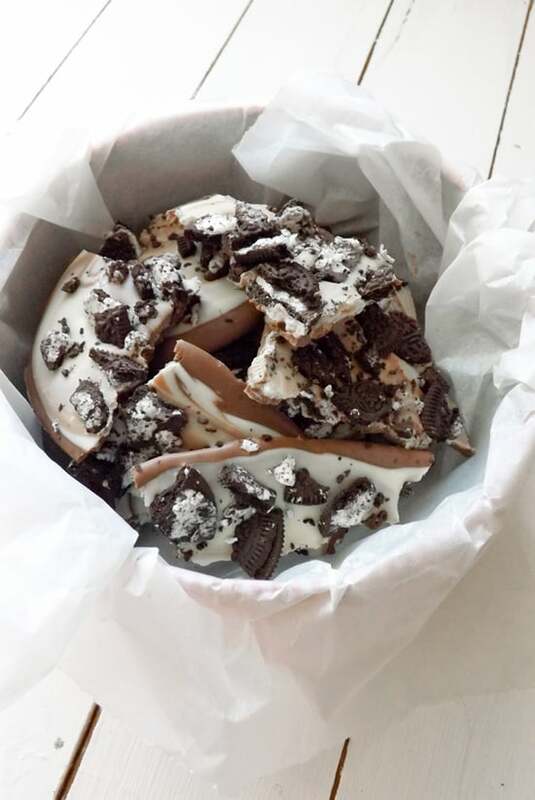 I made bark with white and dark chocolate last Christmas, and the white and dark layers separated. Any ideas why? They were both real chocolate. Thank you, Mimi, 😀 I find allowing it to set at room temperature and giving them a little swirly mix so they bind a little bit does help. If I am wanting 2 distinct layers I find topping it with the second chocolate before the first layer is fully set also helps. 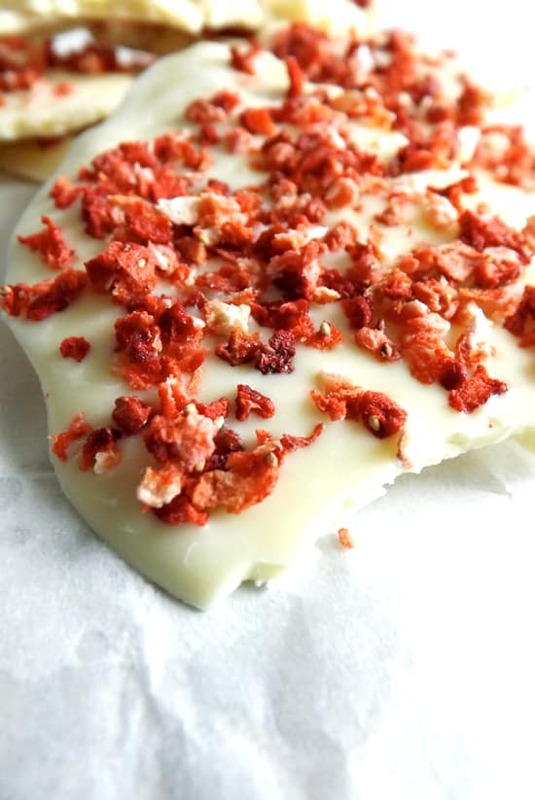 Emma, this is the most beautiful chocolate bark, I have ever seen, just so perfect for Easter and so easy to prepare. 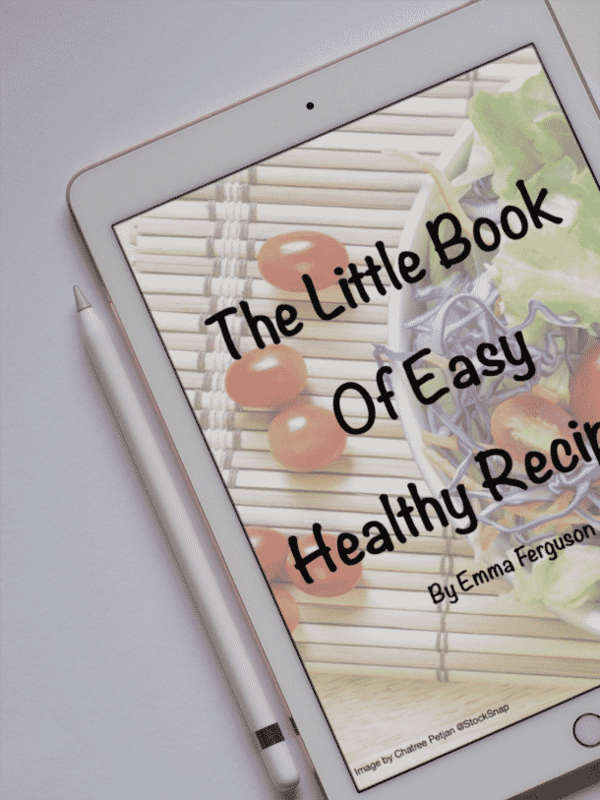 School and work and blogging! That’s a full plate.t But really, I saw this on Instagram and had to check it out. Are the flowers on the bark sugar-based? Hi Shauna, thank you. Yep, I am so busy right now but I am ploughing through. The flowers are made of wafer and rice paper. Very pretty and colorful! It looks like we were on the same visual-color wavelength this weekend! Great idea to swirl the chocolates!!! And your garnishes are just beautiful!!! Hope you had a wonderful Easter, Emma! That looks to die for! Very beautiful and festive too, Emma. 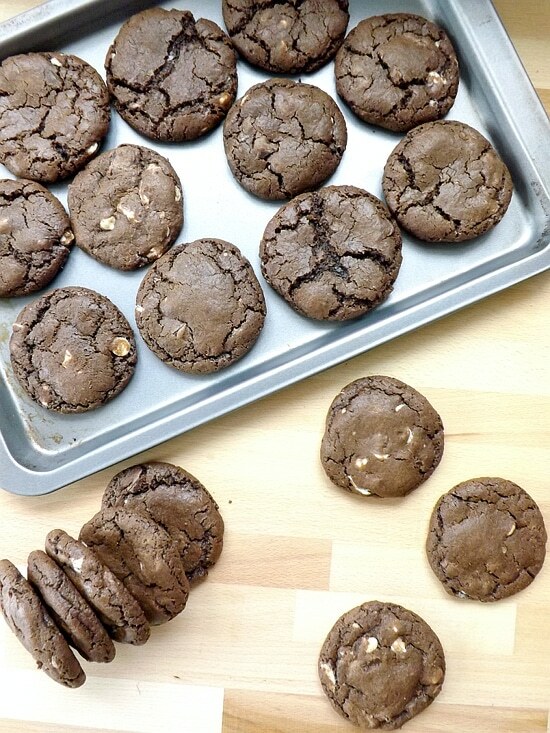 You are so right – what’s not to love about chocolate except chocolate you can add things too. Perfect for Easter!